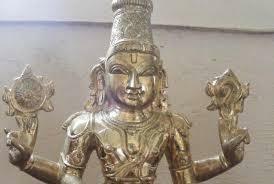 The Madras High Court expressed concern on the rising cases of idol thefts from temples in Tamil Nadu and ordered the state government to take action to check the menace or else stated that it will ask the CBI to step in and conduct an inquiry. The court had also pulled up the HR & CE department back then for not doing its duties of maintaining historical temples and protecting the antique idols. Hearing a petition filed by Rangarajan Narasimhan, Justice Mahadevan said that he was getting complaints about idol thefts as this case is in progress and that the continuing incidents of thefts show the lack of administrative capabilities in the HR & CE department.